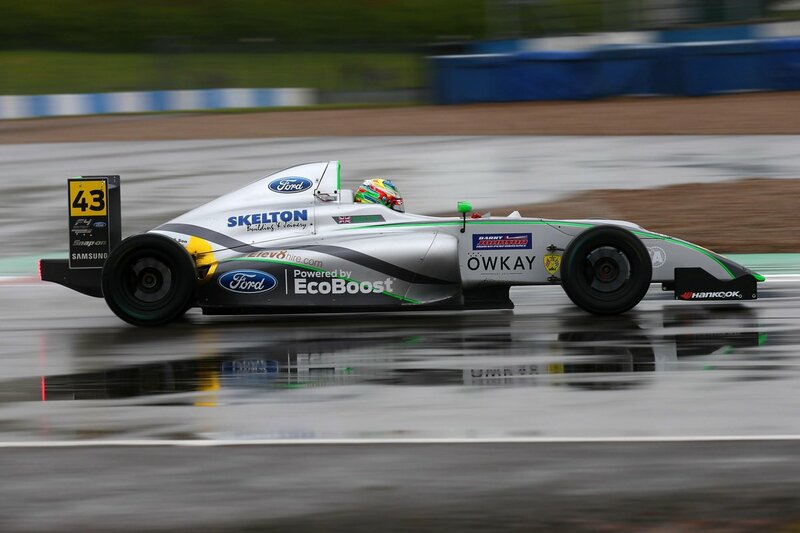 We headed to the second round of the F4 British Championship certified by FIA – powered by Ford EcoBoost at Donington Park, looking forward on the weekend ahead and gaining more valuable experience. We had been there for the official Monday test, and our speed looked promising ending the day 8th quickest overall, which we were very happy with. We turned up at the track for the test day on Thursday knowing where we needed to improve to make us quicker. Thursday would consist of two 45 minute test sessions, one in the morning and one in the afternoon. In the morning session we were very pleased with our speed and result, we ended the session P6. The car felt very good and I was really happy with how we were going. In the afternoon session we would end up in P10, but were still really happy with this because of how close the times were, and we were looking good going into qualifying on Saturday morning. Saturday we were ready for qualifying but there was a change in the weather, it was no longer dry having rained overnight and the track was really wet. We went out in qualifying and give it everything we had, but it was difficult for all to get the tyres to come on. As a result it wasn’t until the last few laps when I felt I could push the car to the full. We ended up qualifying P8 for race one and P6 for race 3. Race 1: Saturday afternoon with a wet track. The race didn’t start well following contact from a competitor on the first corner, which spun us around and left us facing the wrong way. Subsequent damage to the car meant it was hard for us to catch up with the pack. We made up a few places by the end of the race which secured P11 by the flag. This is were we would start on the grid for race 2 on Sunday morning. Race 2: The track was dry and very welcome. We were looking forward to seeing what we could do coming through the field. We didn’t get off to the best of starts dropping to the back of the field, but made our way back to P10 by the end of the race, scoring valuable points. 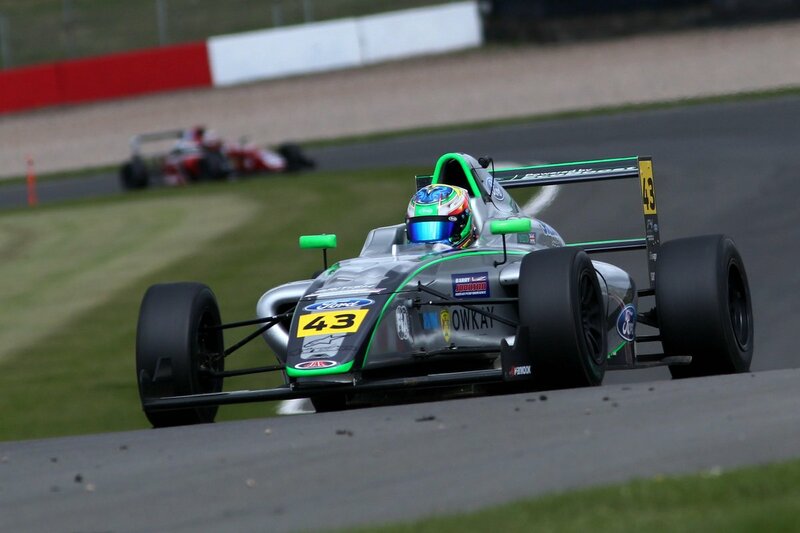 Josh is now lying in 3rd position in the Championship’s Rookie Cup. Race 3: Sunday afternoon, saw us starting from 6th on the grid. After making a good start halfway around the first lap two drivers made contact spinning immediately in front of myself. This left me nowhere to go but to take to the grass which would leave me at the back of the pack. The safety car was called upon, bunching up the field. We were left with around 8 minutes to try to battle our way forward, managing to secure a well earned 8th considering the earlier incident, and scoring a rookie podium by finishing second rookie on track. Overall we are very happy with the speed we are showing in these early stages, and we know what we need to work on in the coming rounds. I would like to say a huge thank you top JHR Developments for providing me with a mega car all weekend, and to everyone involved in helping me along the way. 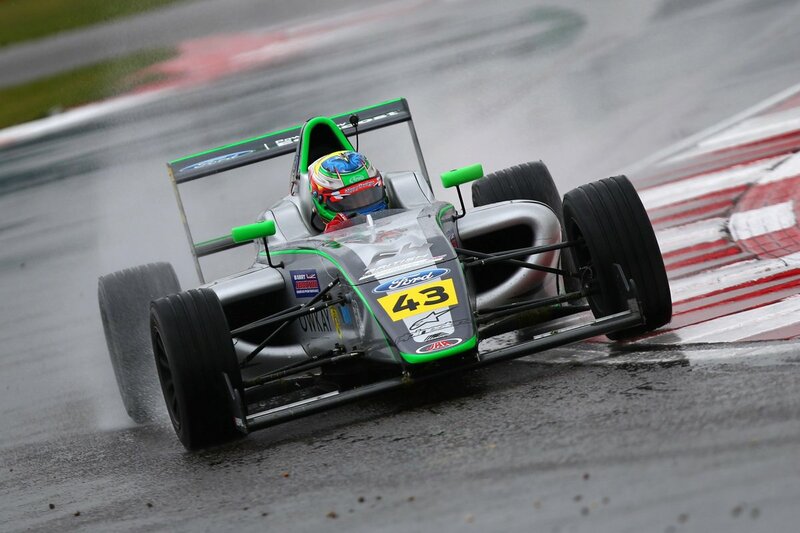 The next race is at the rapid Thruxton circuit in two weeks time.